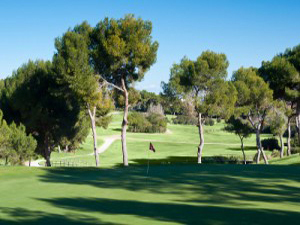 For many years Costa Blanca golf was centred on the few established courses of Villamartin, Las Ramblas and Campoamor BUT with the rapid development on the area surrounding Torrevieja there is now a larger selection of high quality courses all within a short 20-25 minute drive. While the area of Torrevieja is not particularly well served with hotel accommodation there are an abundance of apartment and house rental accommodation with excellent road and motorway links to both Alicante and San Javier (Murcia) airports and with an abundance of bars and restaurants. In addition to the original established courses mentioned above the Torrevieja area is now also well served with excellent courses such as La Finca, La Marquesa, Las Colinas, Lo Romero and Vistabella offering different golf experiences with a variety of sea and mountain views. La Finca and Lo Romero are popular with residents and tourists alike and Las Colinas is probably the jewel in the crown and is the current home of European PGA tour stage 2 qualifying. 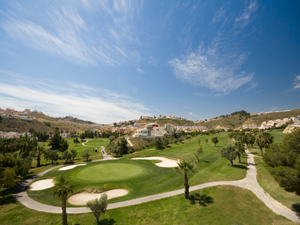 Vistabella is a well presented par 73 courses giving golfers the opportunity to play a unique 22 hole round of golf. 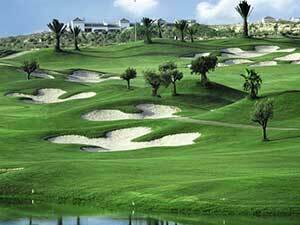 Costa Blanca golf in the area of Torrevieja will provide golfers of all standards a wonderful golfing experience that they will wish to repeat on future visits. This course has stunning views from the clubhouse and superb hotel and is located only 10 minute drive from the local beaches, bars and restaurants and a 40 minute drive from Alicante airport. 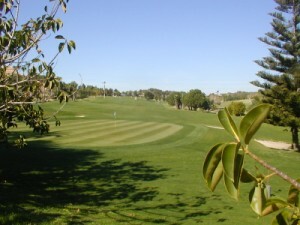 The course is long even from the yellow tees at 6,198 metres (6,818 yards) with numerous right to left dog-leg holes on sloping and undulating fairways which explains the handicap ‘slope’ rating which is very high and in general provides players with 3-4 additional shots against their normal handicap. Championship golf in mind. 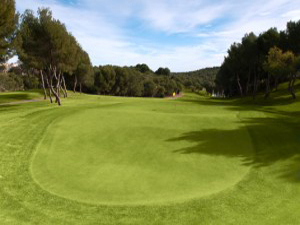 The designer has presented the course with the widest variety of different greens	to be seen on the Costa Blanca, although some think too varied. The course has good views and a number of lakes with running water ensuring	plenty of wild birds and vegetation. A new clubhouse and hotel have recently been constructed and the practise	facilities are excellent with two chipping and putting greens, practise bunker	and a driving range played off grass. The course was designed by Justo Quesada and opened in 1989 as the Club de Golf Quesada with the name being changed in 1994 to La Marquesa Golf and Country Club and in 2010 was the first course in the Valencia region to receive the ISO 9001 award for quality and excellence. The course is a par 72 layout of 6,115 metres (6,726 yards) from the white tees and 5,971 metres (6,568 yards) and 5,098 metres (5,607 yards) from the yellow and red tees respectively. Las Colinas Golf and Country Club is an exclusive private community built around a world class championship golf course which was opened to the public in May 2010.This superb golf course measures in excess of 7,000 metres from the competition tees with numerous right to left dog-leg holes to suit the lower handicap golfer and with 6 lakes which come into play over the closing holes. The clubhouse is in a Mediterranean style of 1,500m2 incorporating a restaurant bar and the pro shop and is located close to the 1st and 10th tees and the excellent practise facilities.Playing golf here will be a truly memorable and exclusive experience for all standards of golfer. Las Ramblas is one of the more established courses in the region and is designed to be at ‘one’ with nature taking advantage of the local terrain while being located within a 10 minute drive from the local beaches, bars and restaurants and a 40 minute drive from Alicante airport. 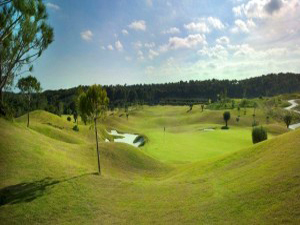 The course at Las Ramblas was designed by Jose (Pepe) Gancedo, is a par 72 course measuring 5,824 metres (6,406 yards) from the yellow tees and was first opened to the public in 1991. The designer has used the local terrain and this hilly course wraps itself around the natural ‘rocky’ terrain resulting in a number of dog-leg holes with blind tee shots and drops in elevation from tee to green. 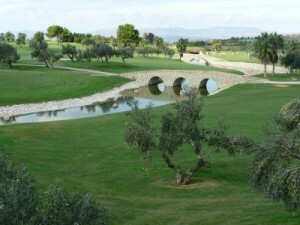 The course was opened in January 2008 and uses the existing terrain which produces holes with a variety of dog-legs and steady changes in elevation. The signature hole on the course is the 18th hole with the ‘island’ green. This hole is designed along the lines of the 17th at Sawgrass in America which is the home of the TPC which is the unofficial 5th ‘major’ but at 356 metres or 393 yards (yellow tees) the 2nd shot for the average golfer will be played with a long iron or hybrid recovery club. The Villamartin course is part of the Grupo Quara group which also owns Las Ramblas and La Finca and is situated a short distance from the sea close to Torrevieja on the South Eastern tip of the Costa Blanca. The course is some 6,151 metres in length (white tees) of par 72 and the designer, Paul Putman, produced a course considered good enough to be used for the Mediterranean Open in 1994 which was won by Jose Maria Olazabal in a play off with Paul McGinley. Vistabella golf course was designed by Spanish Ryder Cup player Manuel Pinero and was originally opened to the public on 26th September 2009 as an 11 hole course but was fully opened as an 18 hole course on 2nd January 2018. Vistabella golf course has a par 72 measuring 6,133 metres off the competition tees and 5,746 metres from the visitors tees and is set in beautiful and natural surroundings close to the towns of Los Montesinos and Jacarilla. 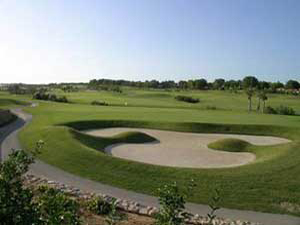 The course has proved popular with tourists and visitors and has a good practice range. Vistabella has a small but affordable bar restaurant and friendly staff.